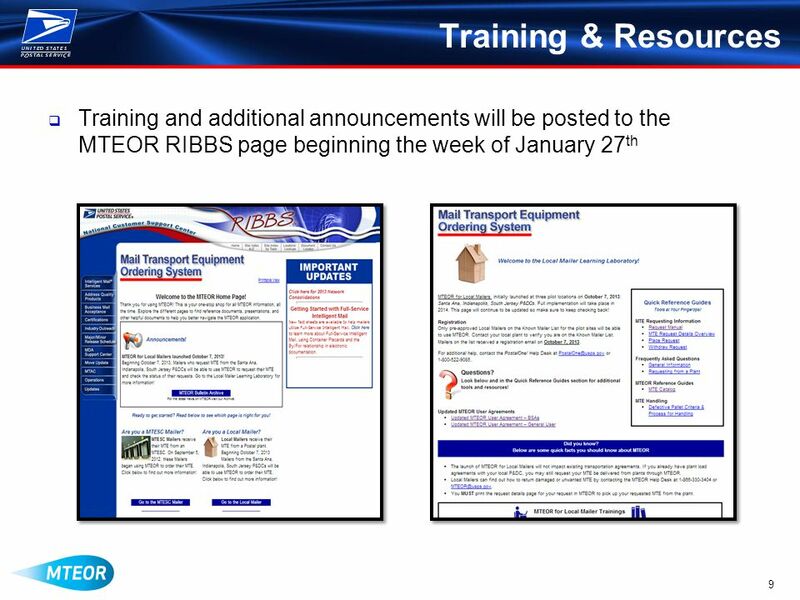 ® MTAC User Group 007 Meeting January 28, 2014. 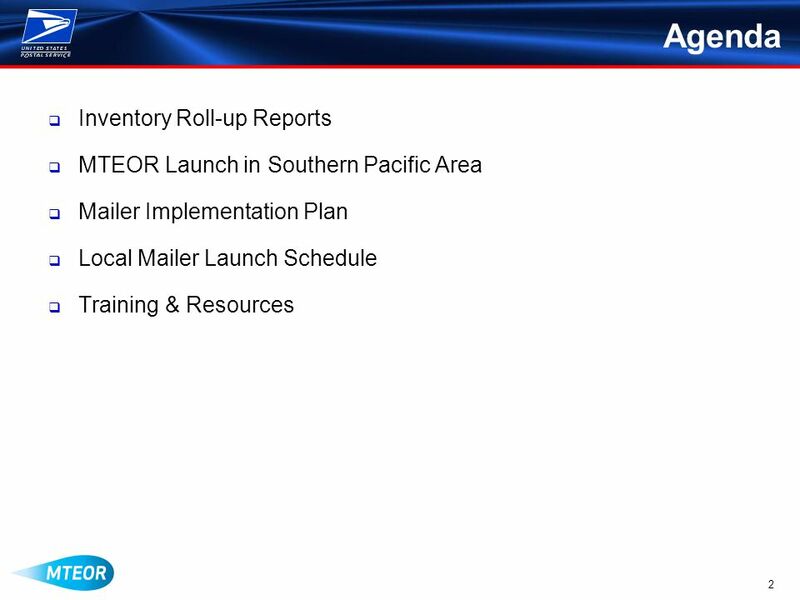 2 Agenda  Inventory Roll-up Reports  MTEOR Launch in Southern Pacific Area  Mailer Implementation Plan. 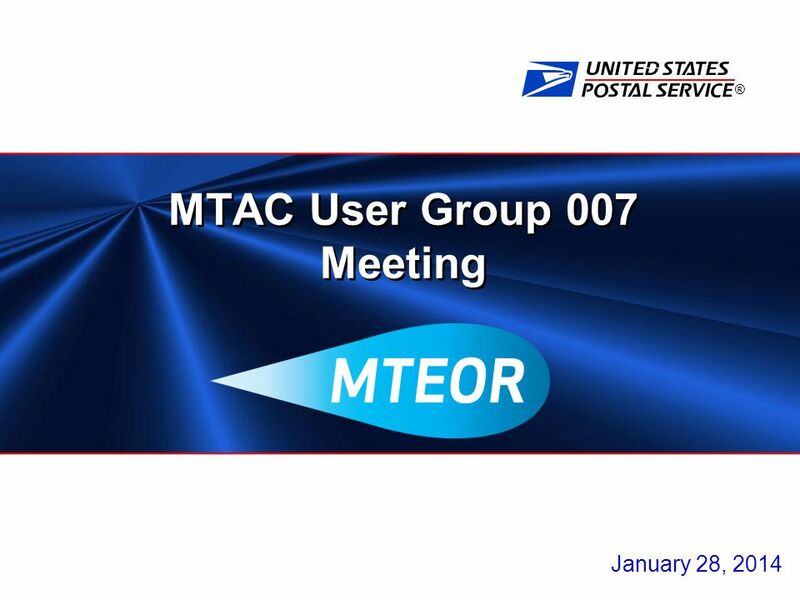 Download ppt "® MTAC User Group 007 Meeting January 28, 2014. 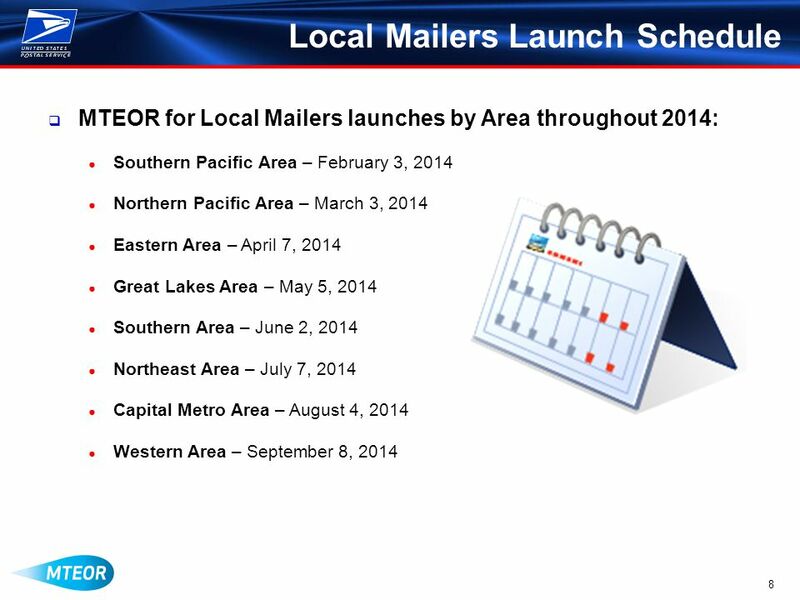 2 Agenda  Inventory Roll-up Reports  MTEOR Launch in Southern Pacific Area  Mailer Implementation Plan." 1 Lisa Alexander and Helen Dennis April 16, 2008 Data Updates/Data Review Form District Test Coordinator Meeting. 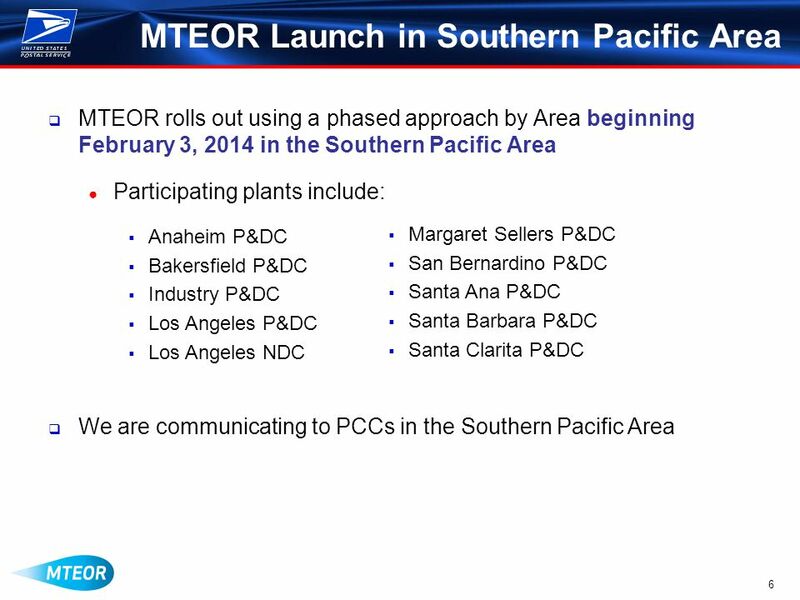 ® MTAC User Group 007 Meeting February 18, Agenda Update from Southern Pacific Area MTEOR Enhancements Full Implementation. Welcome to Webinar on Accelerated Bridge Construction ABC Applications in Segmental Bridge Construction Sponsored by Center for Accelerated Bridge Construction. Weekly Attendance by Class w/e 6 th September 2013. NJHS agenda. Service Hours Due January 6, 2015 Due June 1, 2015. January 6. January 7 January 8 January 9 January 10. 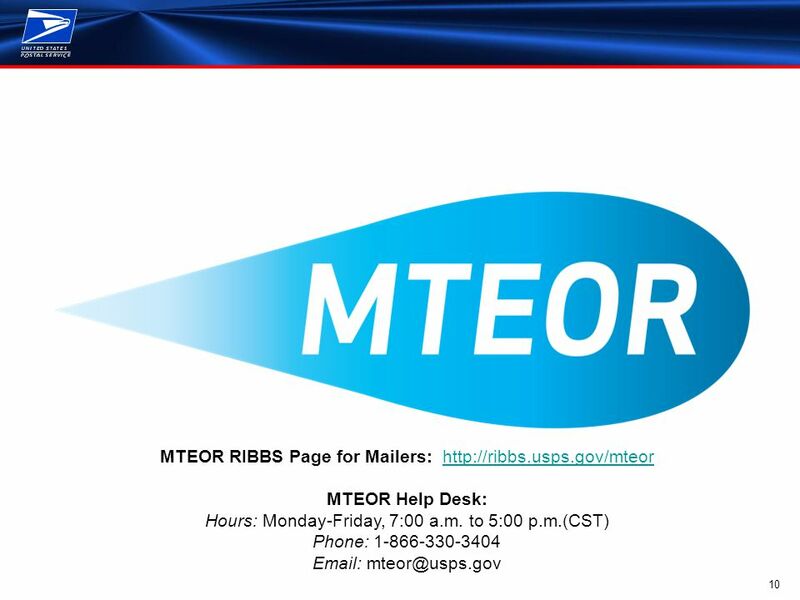 Restoration of Standard Letters & Periodicals (Letters and Flats) to New Orleans Update MTAC – May 18, 2006. 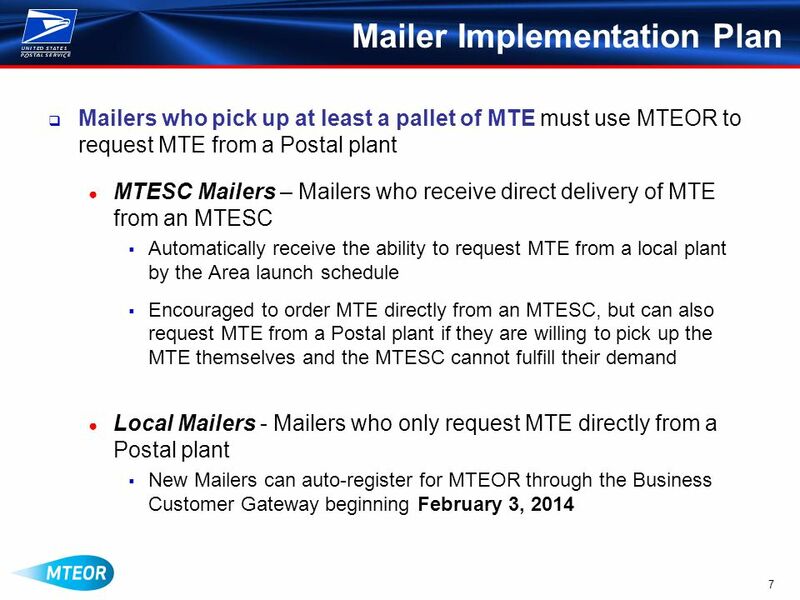 MTE Forecasting and Tracking Workgroup #108 Ability to effectively forecast and fulfill Mail Transport Equipment needs for customers and plants. What is a Conference Assistant??? 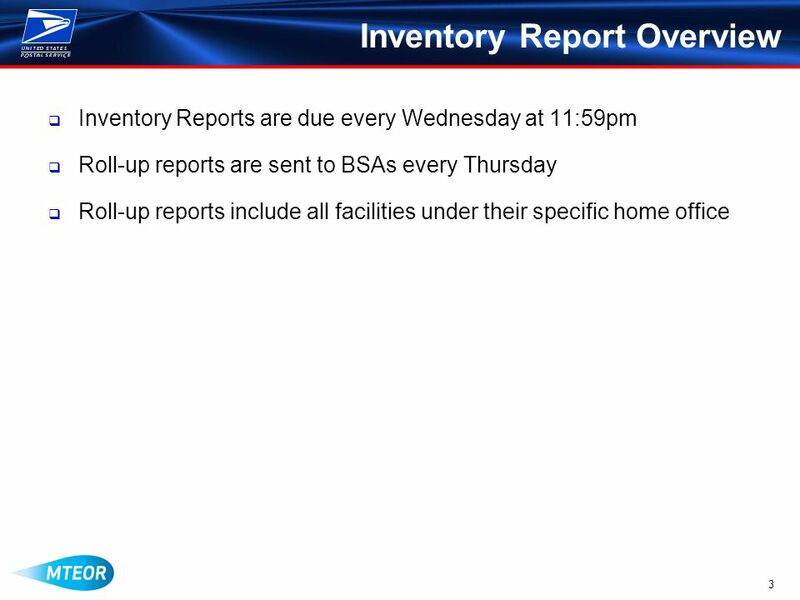 Conference Assistants (CAs) are on-site liaisons between the Capstone Conference Center and conference participants. 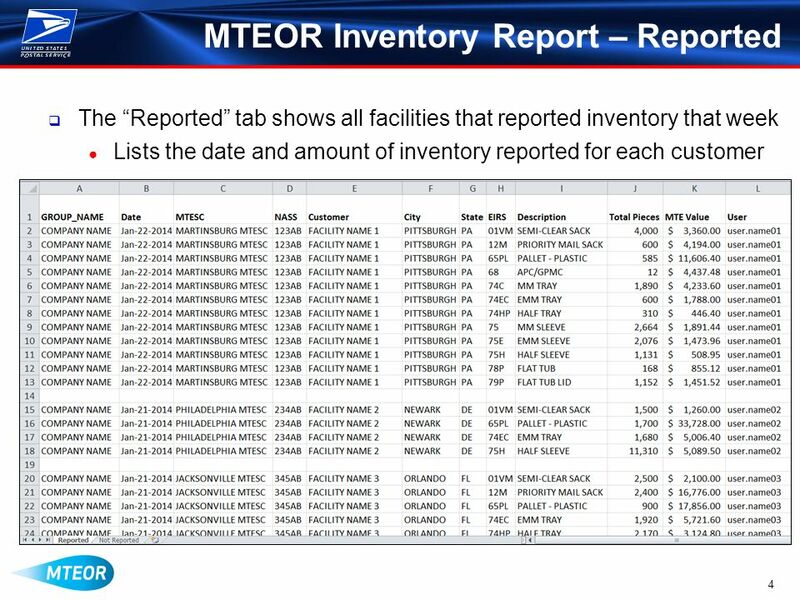 ® MTEOR Overview. 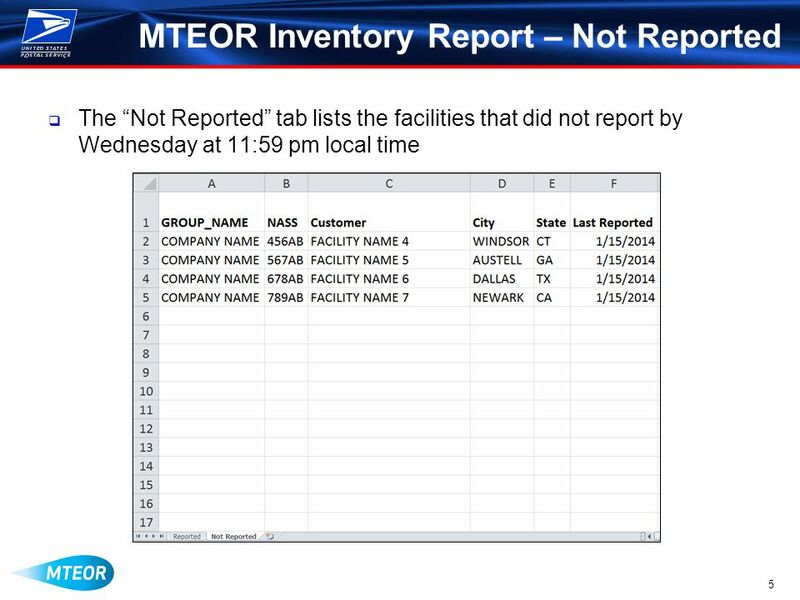 2 Agenda  MTEOR Overview  MTEOR History  MTEOR Applications and Users  MTEOR Success  Tools and Resources. The Months and The Seasons Prepared by Claudia Doria and Terra Myers.